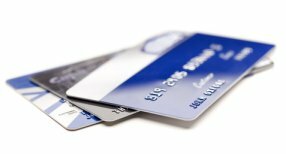 Here at 0% Credit Card Expert, we aim to try and explain all aspects of the UK 0% credit card market. We also aim to try and explain the terms involved with using a credit card. So what is a credit card annual fee? A credit card annual fee can be defined as the annual amount that a credit card company will charge a customer for having the use of that credit card. The fee is often charged once a year to the customer, although some cards now charge a monthly fee. This fee will appear on the customers next monthly statement. Most UK 0% credit cards, including the popular M&S credit card and Nationwide credit card offers do not currently charge a credit card annual fee. Those UK 0% credit cards that do currently charge an annual fee, generally often offer some type of rewards to the customer. These rewards can take the form of cashback, airline or hotel rewards points. How many 0% credit cards have an annual fee? Here at 0% Credit Card Expert we have details of every UK 0% credit card currently available online. There are currently more than 90 UK 0% credit cards available online. At the time of writing, only 5 of these cards currently charge an annual fee. Most annual fee credit cards in the UK offer shorter than average 0% introductory offers. However, these cards usually do come with cashback, or reward points for either airlines or hotels. A credit card annual fee should not be confused with a balance transfer fee. This fee is charged by the credit card company as a percentage of the balance transfer amount. Although a credit card annual fee is only charged by a small number of UK 0% credit cards, balance transfer fees do apply to most currently available 0% credit cards when making a balance transfer.